Country lovers, if you missed your chance to catch the incredible Zac Brown Band in 2018, then fear not! In response to popular demand, they’ve extended their Down The Rabbit Hole Live tour into 2019. 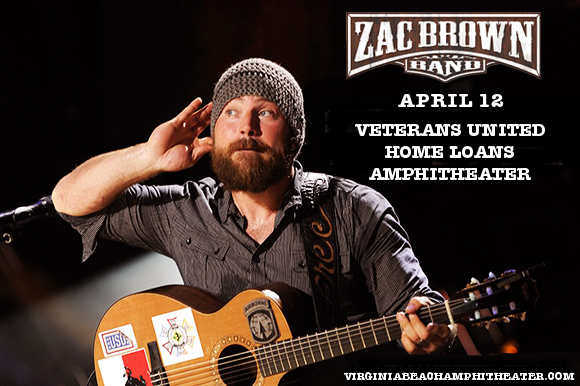 They’re headed to the Veterans United Home Loans Amphitheater on Friday 12th April 2019! Don’t miss it – grab your tickets NOW while you have the chance!! The new intimacy and rawness of the album seems to have resonated with fans and critics alike – it shot straight up to number 2 on the Billboard 200 and charted at number 1 on the Top Country Albums chart. Featuring the single “My Old Man,” “Welcome Home,” is a warm return to the band’s country roots after much experimentation with various genres in response to gaining mainstream attention. But there’s more – together with the announcement of the new tour, the Zac Brown Band have released an all-new song! Listen to the new single, “Someone I Used To Know,” below – but don’t wait too long, because those tickets certainly won’t! !